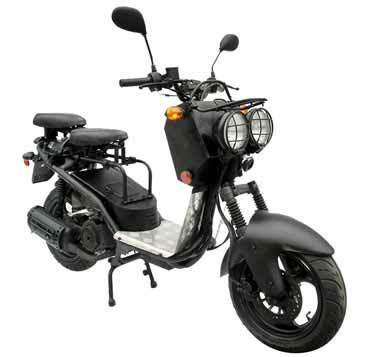 Description This is a 150cc scooter with a broken off tail light. There are Baja stickers on either side of frame, a "24 minutes of Ruckus" sticker on the front, and an "illegal pete's" sticker on the back of frame. There was a black and gray backpack under the seat.